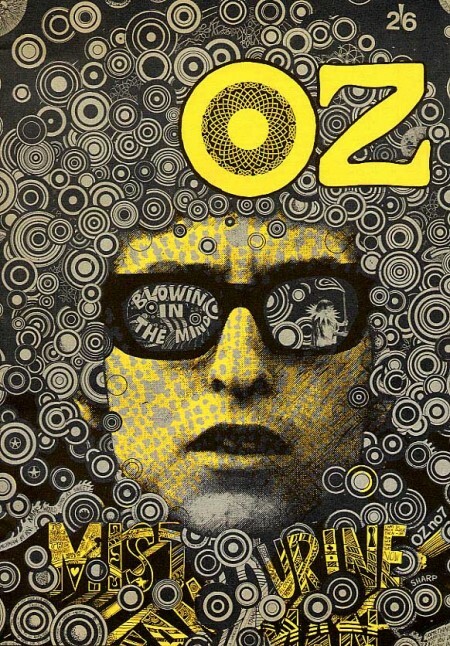 I love the 60’s because everyone was tripping balls all the time and then they would come out with crazy magazines to prove it. Case in point: OZ. These covers need no explanation, they are simply incredible. 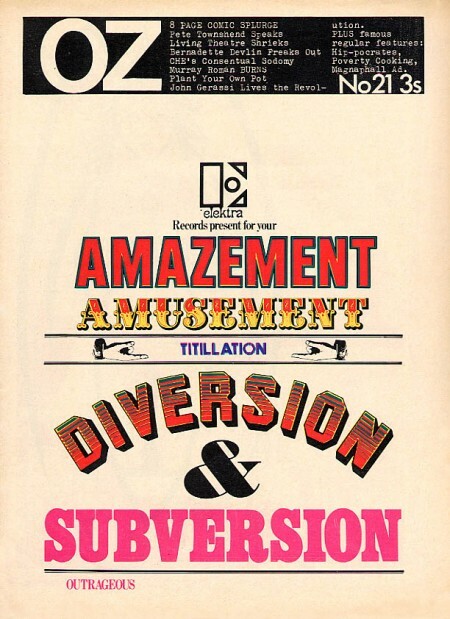 The overall idea of the magazine is definitely reminiscent of Avant Garde, but a lot of Herb Lubalin’s work seems somewhat tame and reserved compared with the over the top stuff (at least for the time) we see in OZ. 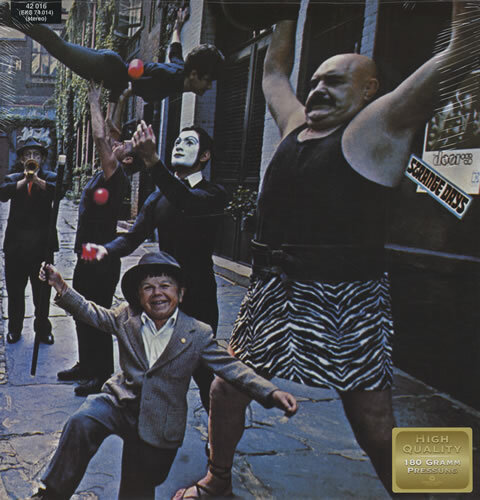 My favorite cover is the one featuring The Doors “Strange Days” album photo with maybe the most awesome magazine logo ever slapped right on top of it. Also, the date and cover info are printed in the weight lifter’s armpit so that’s a bonus. It must have been nice back then when all you had to do to “freak out the establishment” was put some naked girls or a midget with circus people on your cover. OZ started out as an Australian satirical humor magazine but then moved to the UK and began life anew as a “psychedelic hippy” magazine (I am sure the genre was overflowing at the time). 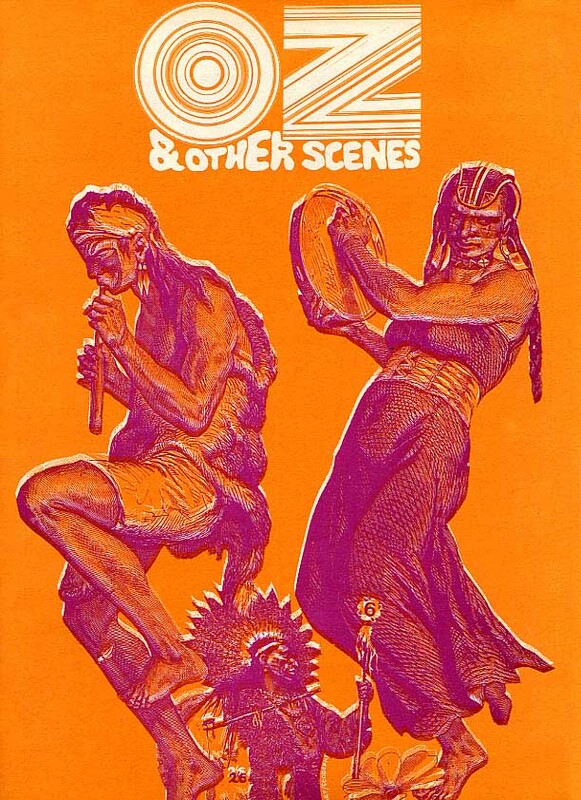 Featuring art by Hapshash and the Coloured Coat and design direction by Martin Sharp, issues of OZ have become collectors items in the years since it’s demise [source]. You can browse cover scans of all the of UK issues of OZ here. On a side note, Google books features the some of the text of “Graphic Design: Reproduction & Representation Since 1800” which makes mention of OZ and Sharp. 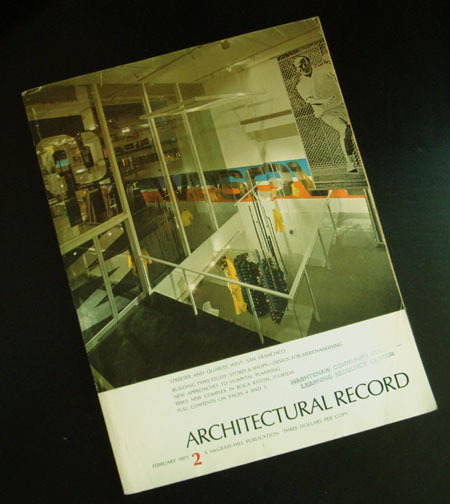 Design #239 Modern Hieroglyphics Ma.. 1971 Architectural Reco..
Hey Scott, after seeing this collection i now get a better understanding of where you got your inspiration for the poster ‘nightvision 2005’ for CA magazine. Am i right in making that connection? Wow, I really thought those concentric circles pattern was a recent invention (so enormously exploited)! 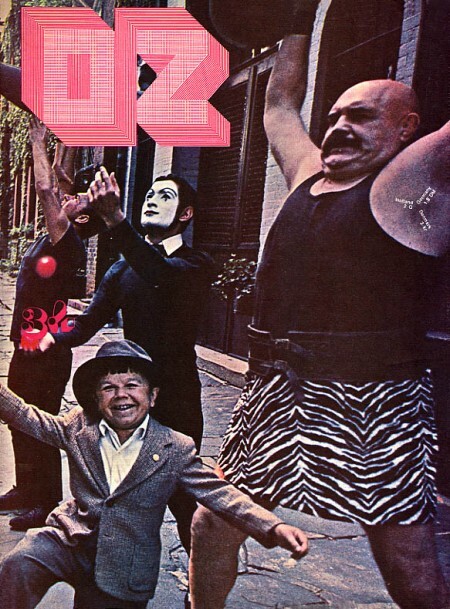 Those Oz magazines were amazing, I happen to have 10 original prints of the mag which an uncle gave to me. He must have been batshit insane or drunk when he gave them to me as I’m sure this must sell at a good price over at ebay. so the second OZ cover looks alooooooooot like something you made! off topic, but important. what happened to that new tycho single that was supposed to be coming out? we decided to add some remixes to the single so that delayed things a bit while we wait for them to finish.